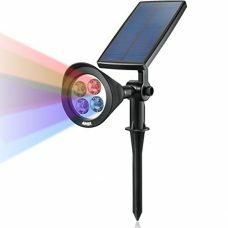 Home Tools and Home Improvement Lighting and Ceiling Fans Novelty Lighting Book Lights Electronics Security and Surveillance Security Sensors GR8 Goodz Bright Solar LED Motion Sensor Outdoor Security Light, Automatic, Waterproof, Wireless, No Batteries Required – Solar Powered! 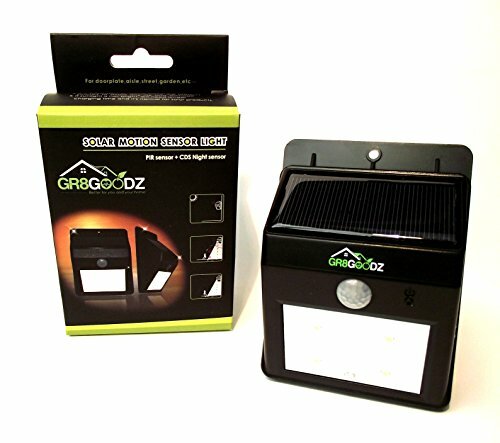 GR8 Goodz Bright Solar LED Motion Sensor Outdoor Security Light, Automatic, Waterproof, Wireless, No Batteries Required – Solar Powered! 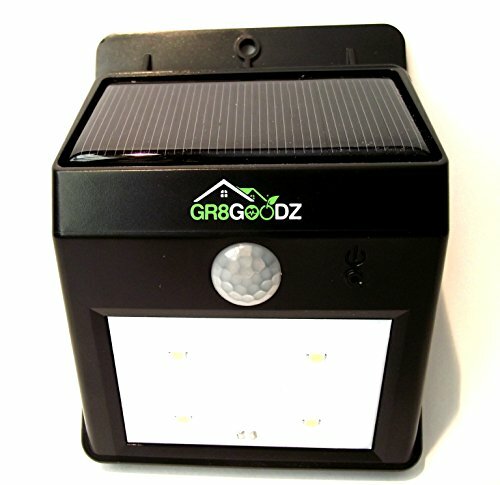 No batteries or wires! 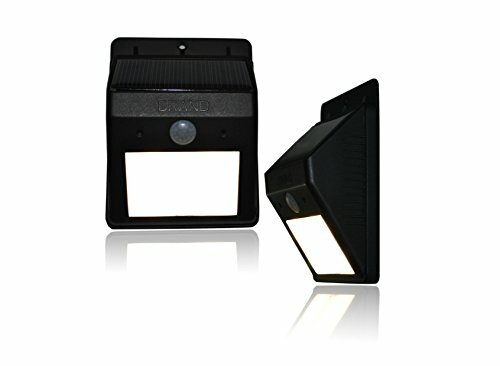 Integrated design of motion sensor and night sensor. 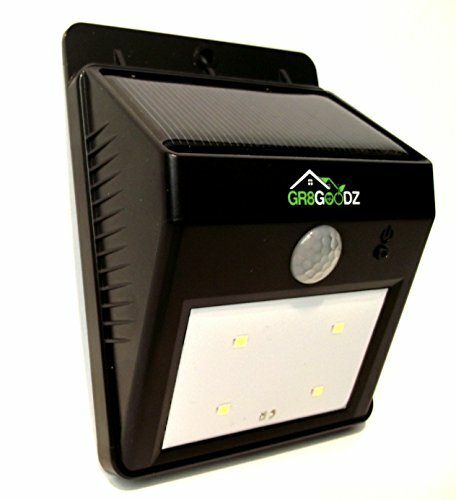 Solar powered, automatic recharge, over 12 hours of lighting time per night. 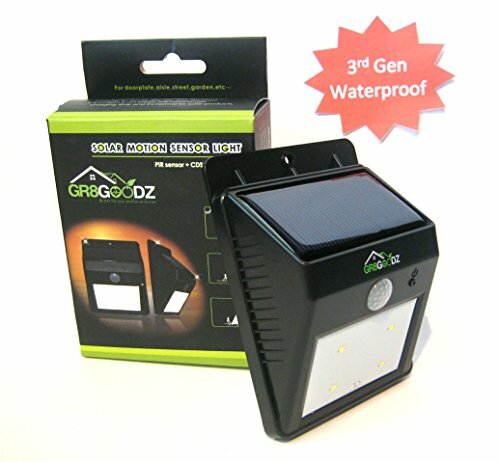 Waterproof IP65, heatproof, durable, automatic energy-saving on/off feature. 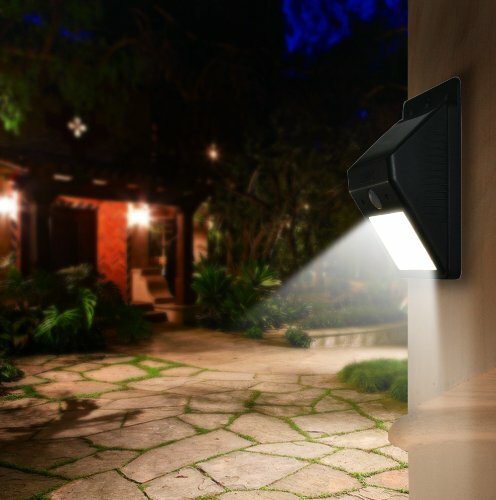 Once the sun goes down the light automatically activates in dim mode, providing an attractive low-intensity white light to the surrounding area. 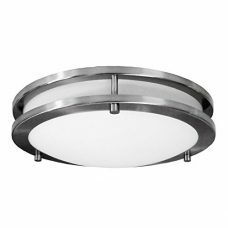 If motion is detected within a 9′ arc, the light automatically switches to bright and stays that way until the motion and heat source move away. 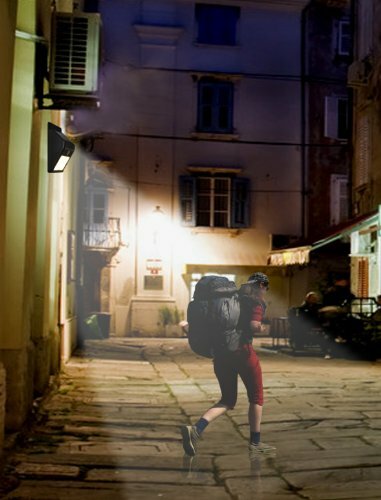 Then, after 10 seconds, the light automatically switches back to dim mode. 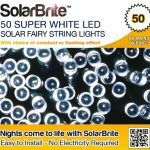 When the sun comes up, the light switches off and begins recharging, using the energy from the sun. 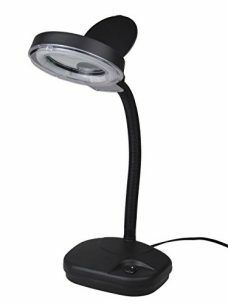 This light is certified by: FCC, ROHS and, CE for compliance. Money-back guarantee, if you don’t like it, return it for a full refund. 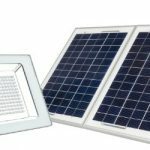 1-year warranty, we’ll replace it during that time, free of charge. 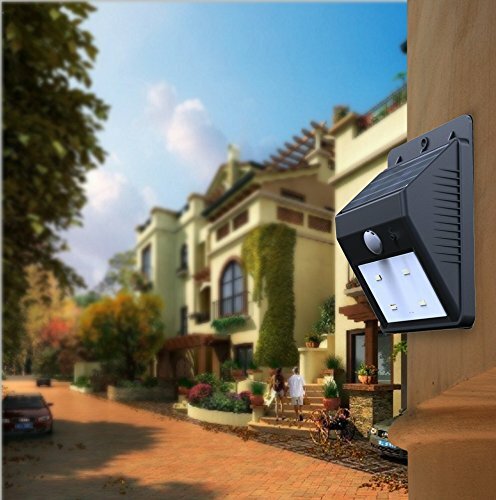 Easy installation, on/off switch and key, automatically dims when no motion is detected. 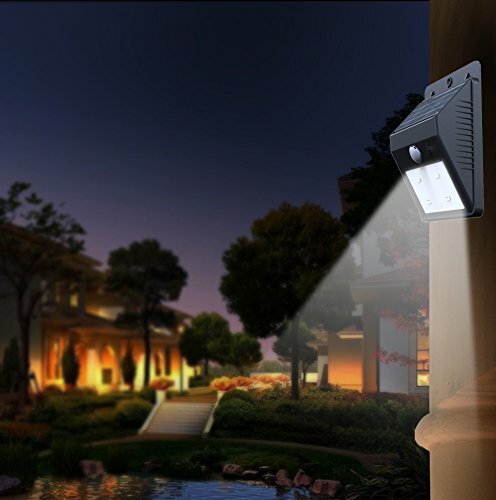 Very bright, motion sensor activates at 9 feet, 120 degree arc of sensitivity, installation hardware and instructions included. Save 2% with this coupon. Enter code 8C4MBJ6H at checkout.